Doctor Zhivago is a book of unflinching moral intensity, set within a landscape of incredible beauty and desolation. It is the story of doomed love during the Bolsevik Revolution and the ensuing civil war. It is a sort of companion piece, in my mind, to the seminal And Quiet Flows the Don (even though Sholokov later became a Soviet apologist), with many similiar themes. The meaning of life, the soul changing effects of violence, and the sense of moral ambiguity during times of suffering each have their place among the central themes of these two novels. Boris Pasternak's widely acclaimed novel comes gloriously to life in a magnificent new translation by Richard Pevear and Larissa Volokhonsky, the award-winning translators of War and Peace and Anna Karenina, and to whom, The New York Review of Books declared, the English-speaking world is indebted. First published in Italy in 1957 amid international controversy the novel was banned in the Soviet Union until 1988, and Pasternak declined the Nobel Prize a year later under intense pressure from Soviet authorities Doctor Zhivago is the story of the life and loves of a poet-physician during the turmoil of the Russian Revolution. Taking his family from Moscow to what he hopes will be shelter in the Ural Mountains, Zhivago finds himself instead embroiled in the battle between the Whites and the Reds. Set against this backdrop of cruelty and strife is Zhivago's love for the tender and beautiful Lara: pursued, found, and lost again, Lara is the very embodiment of the pain and chaos of those cataclysmic times. Stunningly rendered in the spirit of Pasternak's original resurrecting his style, rhythms, voicings, and tone and including an introduction, textual annotations, and a translators note, this edition of Doctor Zhivago is destined to become the definitive English translation of our time. A poet, translator, and novelist, Boris Pasternak was born in Moscow in 1890. In 1958 he was awarded the Nobel Prize in Literature but, facing threats from Soviet authorities, refused the prize. He lived in virtual exile in an artists community near Moscow until his death in 1960. Richard Pevear and Larissa Volokhonsky are the award-winning translators of Tolstoy s War and Peace, among many other works of Russian literature. They are married and live in France." 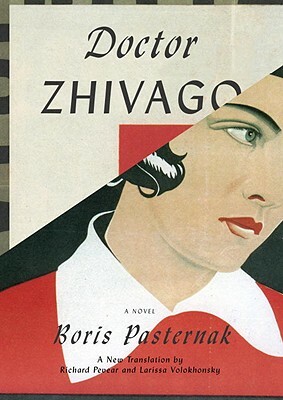 "The previous English-language translation of Boris Pasternak’s Doctor Zhivago was made and brought out in England and the U.S. in extreme haste, on the eve of the 1958 Nobel Prize award to its author that triggered one of the fiercest political storms of the Cold War era. This new translation by Richard Pevear and Larissa Volokhonsky is for the first time based on the authentic original text, reflects the present, deeper level of understanding of the great masterpiece of 20th century Russian literature and conveys its whole artistic richness with all its complexities and subtleties that had escaped the attention of the earlier translators and readers. "In faithfulness to the original, attention to stylistic details and nuances, lucidity, and brilliance it matches Pevear and Volokhonsky’s superb translations of such monumental works of the classics of Russian literature as Tolstoy’s War and Peace and Dostoevsky’s The Brothers Karamazov. The new edition will have an even more profound effect on our understanding of 20th century Russia that the first appearance of the novel had more than half a century ago."